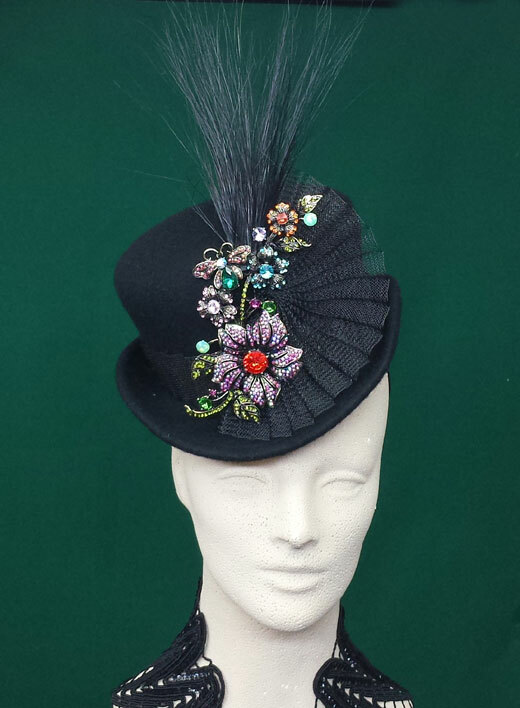 Made from thick wool felt, trimmed with black pleated horsehair band and flower swirl feathers. 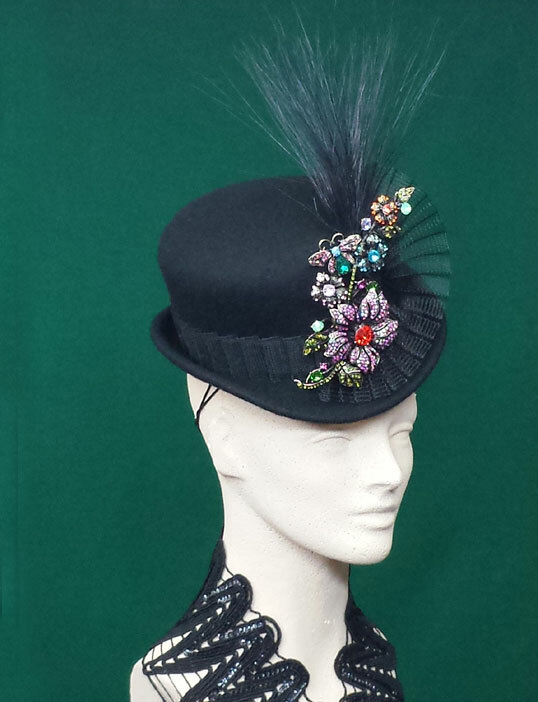 Adorned with large multicolored jeweled floral brooch and burnt peacock herl feathers. Oh! So eye catching and PERFECT for cocktail parties, the holidays, black tie events and just for catching their eyes! 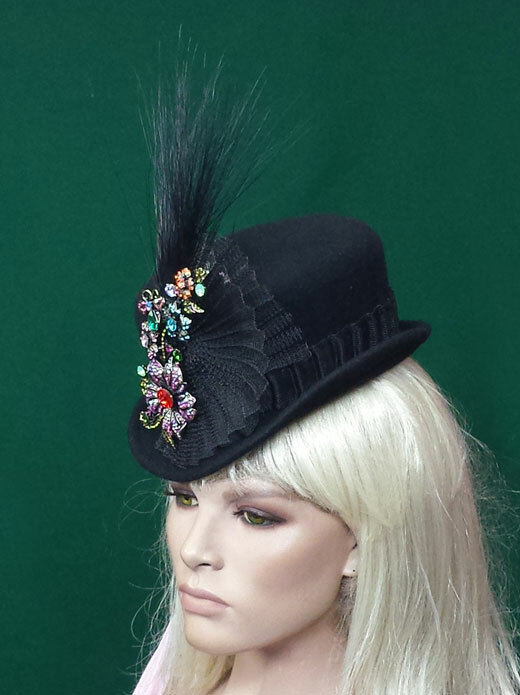 The "Mini Top Hat" hat can be made to order in our CUSTOM SALON.